TV Guide was first published in the United States in 1953 and celebrated its 49th year in 2012, and it isÂ America’s longest running TV listings magazine. So it’s about Doctor Who show’ age. Even so, it is the first time when the Doctor makes theÂ Christmas cover. Doctor Who airs in the US on BBC America and has a dedicated worldwide following. Seasonal special The Snowmen airs over there on Christmas Day just hours after it is seen by BBC1 audiences in Great Britain. 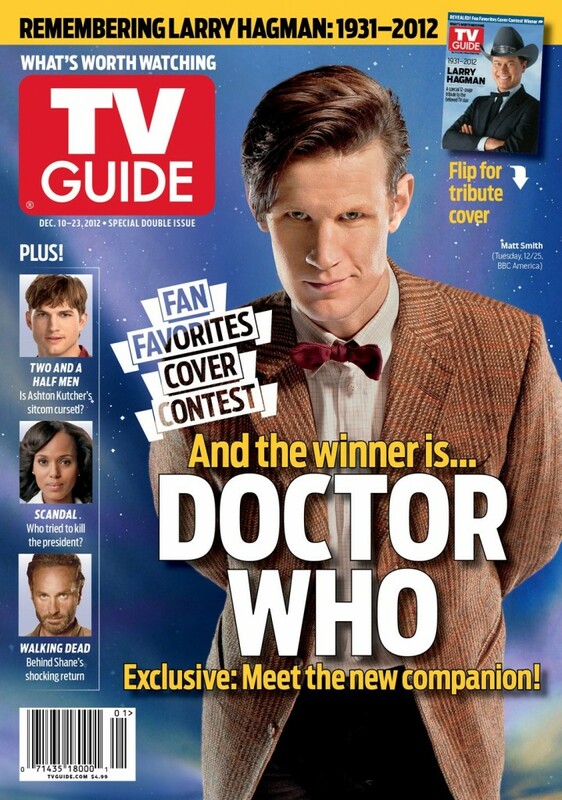 As Radio Times says,Â Matt Smith and his bow tie will be a feature of coffee tables across America this Christmas after US’ Doctor Who fans voted for the show to feature on the cover of TV Guide. Now in its third year, the Fan Favorites Cover Contest asks viewers to decide which series should front TV Guide’s Christmas double issue. The magazine said Doctor Who fans hadÂ galvanised support “through countless blog posts, message-board comments and tweets” toÂ beat big-name AmericanÂ shows including The Walking Dead,Â The Vampire Diaries, andÂ Pretty Little Liars. LDS Music Store Review and Digital Scrapbook Store $25 Giveaway! Oh No They Didn't! – IT'S SOAP NEWS FRIDAY!! !